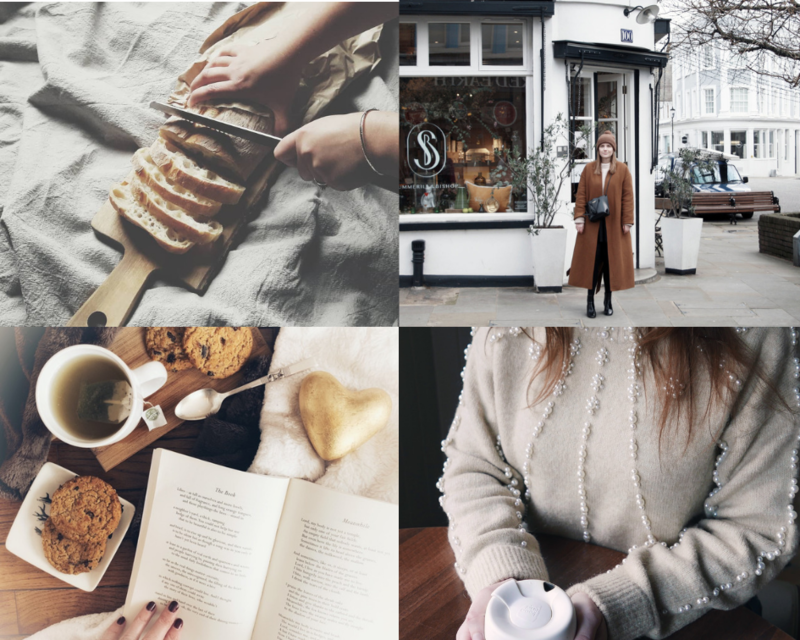 Focusing on everything from slow to intentional and sustainable living, these London-based bloggers and Instagrammers share the Slow Living LDN. passion for enjoying the quieter side of the capital. As part of A Year of Living Slower, they reveal their favourite places to spend a Slow Sunday in London. 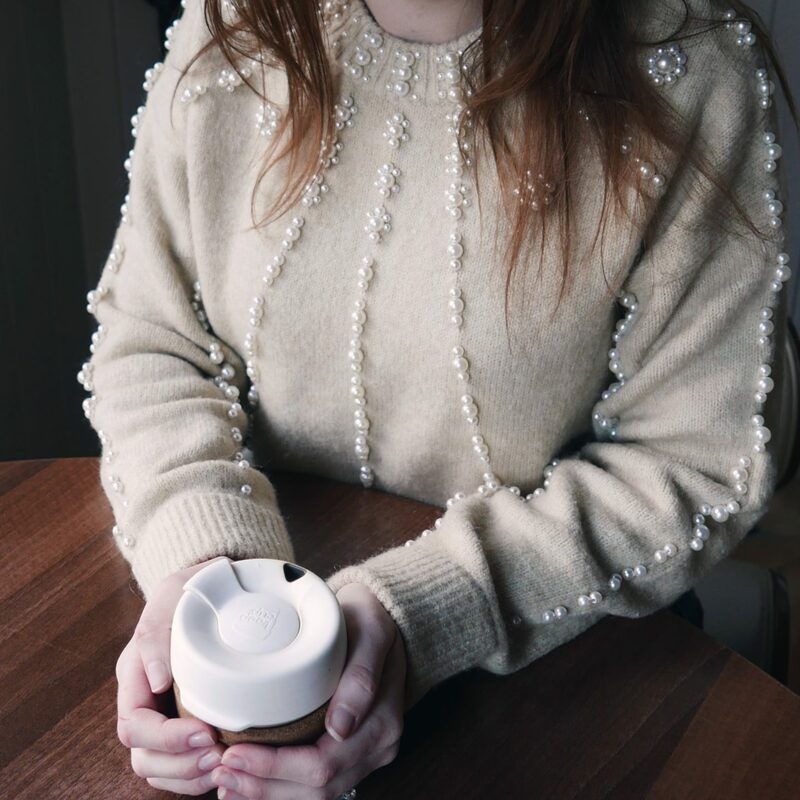 Carly is an editor who is passionate about independent brands and pursuing a more sustainable lifestyle. 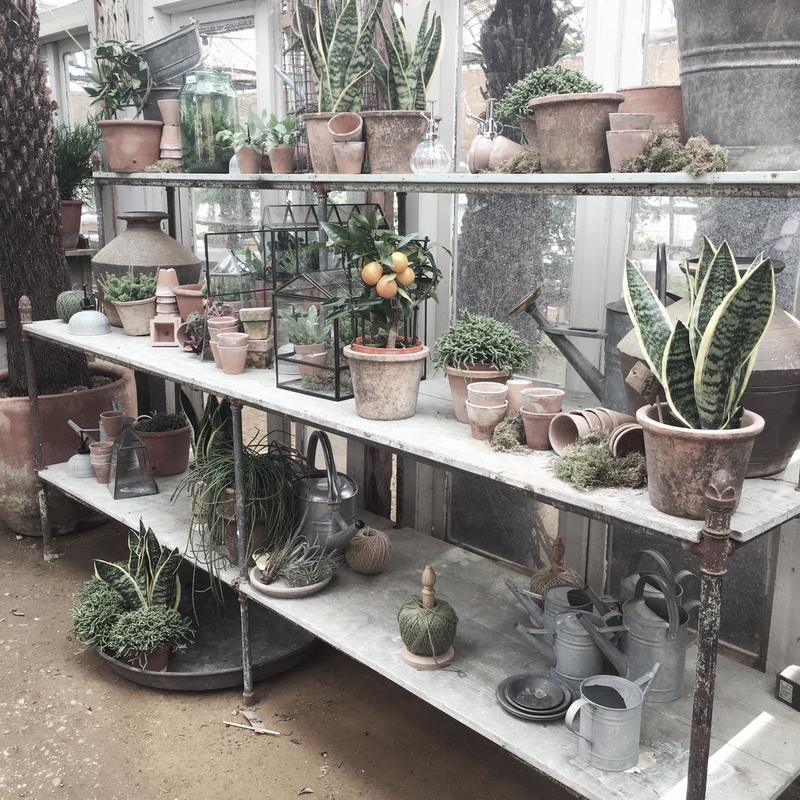 Her photos are a beautifully curated mix of London and countryside spots in natural tones. Carly’s brown coat is becoming iconic in her Instagram feed, giving her a signature style when she features in front of the camera. Having lived in East London for many years (I met my husband, got engaged and got married to him on the same road from Dalston to Shoreditch), it’s sometimes nice to go on an adventure and explore a different area at the weekend. Across the city, the many pretty streets in and around Notting Hill can have a quiet, sleepy feel that are perfect for a slow-paced Sunday (especially if you steer away from the crowds on busy Portobello Market). 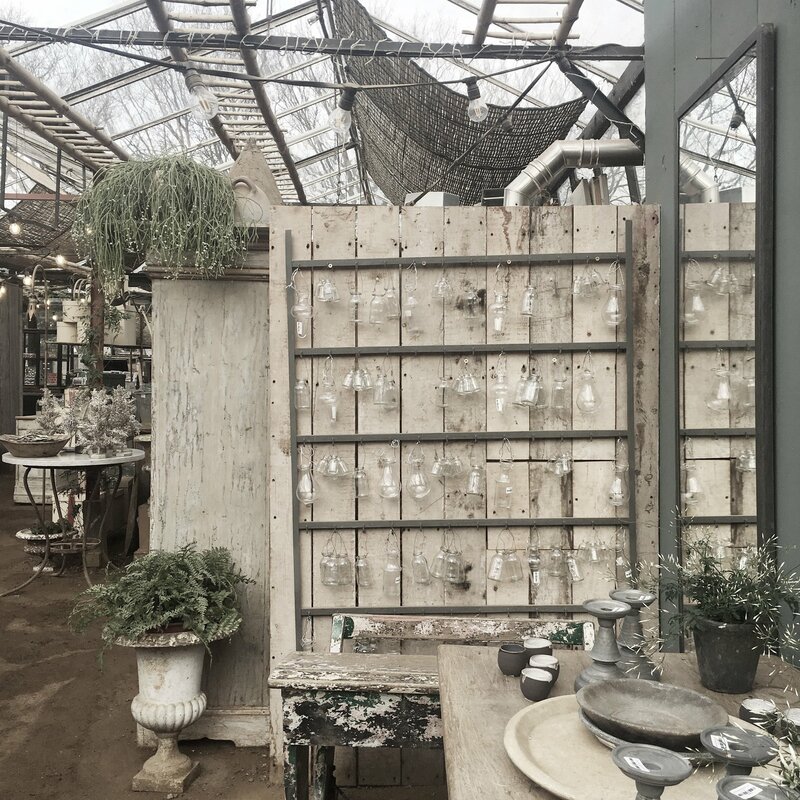 There’s so many great independent shops to visit, not to mention vintage and charity treasure troves. Some of my favourites include: Summerill & Bishop for beautiful tableware (including delicate recycled glass bottles); Wolf & Badger for indie brands and natural skincare (I love By Sarah London); and Rellik (so many memories as I used to go hunting for vintage dresses there regularly in my teens). And if you want an Instagrammable vegan-friendly brunch, Farmacy’s ‘Earth Bowls’ are worth the trek across town for alone. 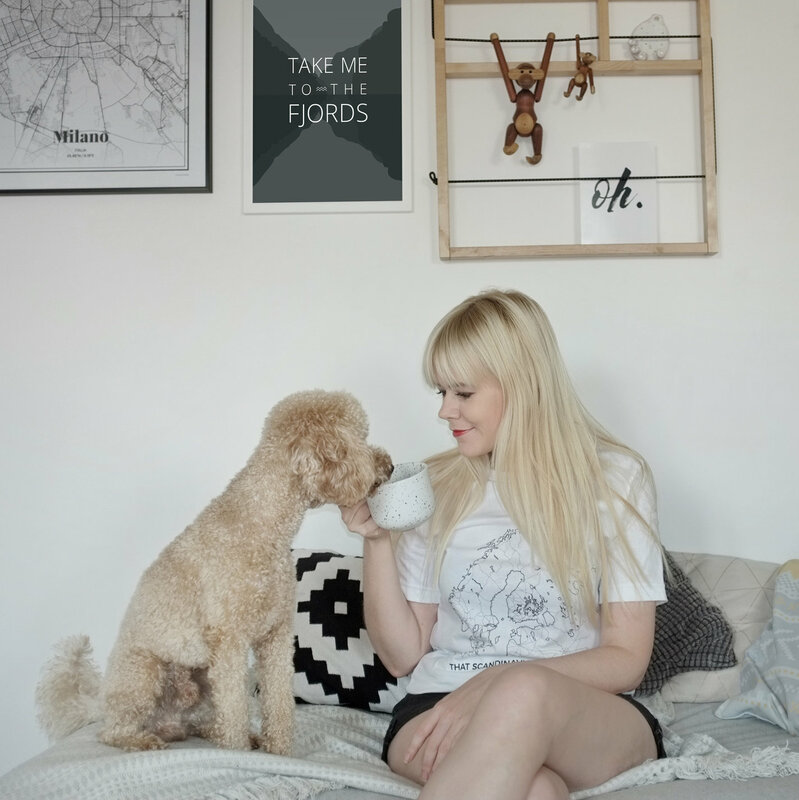 Like Slow Living LDN., Bryony is an advocate of slow living in the city. She is particularly passionate about pursuing a low impact lifestyle and often shares inspiration on how to live more sustainably in daily life. Bryony’s extremely lovable English Bulldog, Muffin, is also a star of her feed. Sunday is my favourite day of the week. It always starts with a dog walk, which at this time of year is pretty chilly. My husband and I layer up, grab our reusable mugs and the three of us venture to our local cafe for a coffee. We then walk to Victoria Park market via the canals for lunch or a snack and to buy some groceries and treats for later. When we arrive home it’s time for a cosy movie or a jigsaw puzzle which we do whilst chatting and listening to our teenage favourites playlist- got to have balance! Before bed I love to have a bubble bath; there’s something medicinal about soaking in hot water with a lovely candle burning and the only task left to do being to fall asleep. 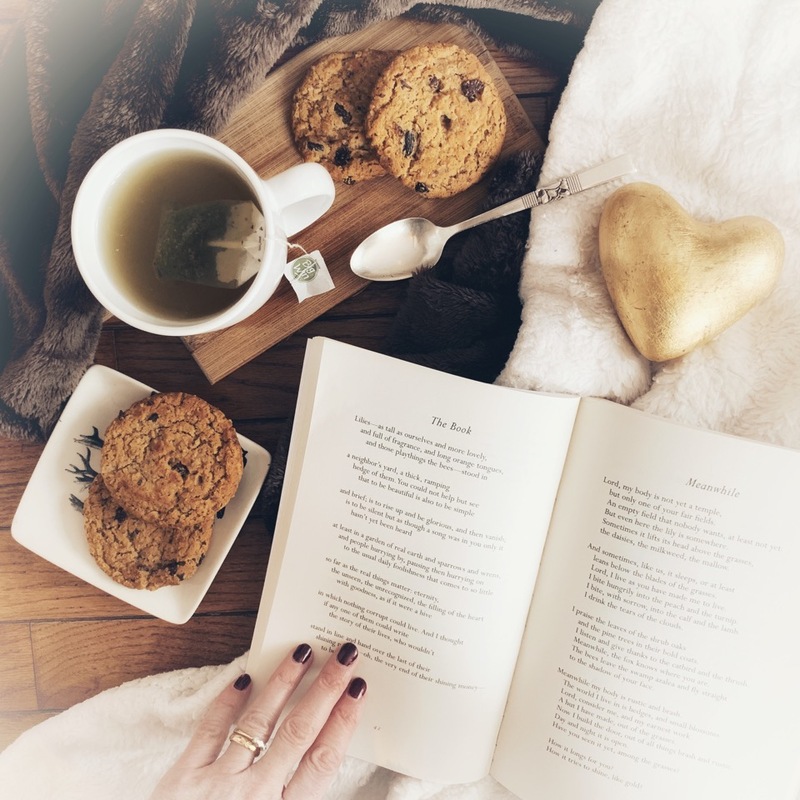 On her blog and accompanying Instagram page, Angie shares inspiration on where to enjoy London’s quieter spots, in addition to well-being (particularly how to find calm), culture, travel and of course, brilliant books. Changing Pages’ feed is packed with beautiful shots of places to visit in the capital. Mostly my Sundays will start with church, which is a lovely reflective way to set the tone for the day. 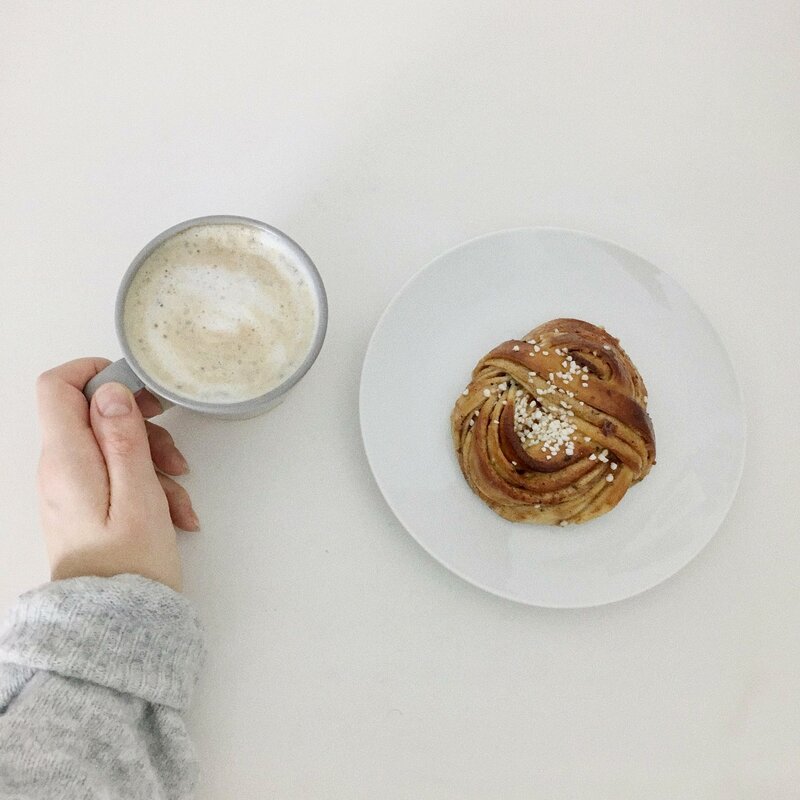 Afterwards, the essential ingredients for a delicious slow Sunday are fresh air, exercise, coffee, reading and some gentle wandering. Holland Park and the surrounding area meets all of these requirements. 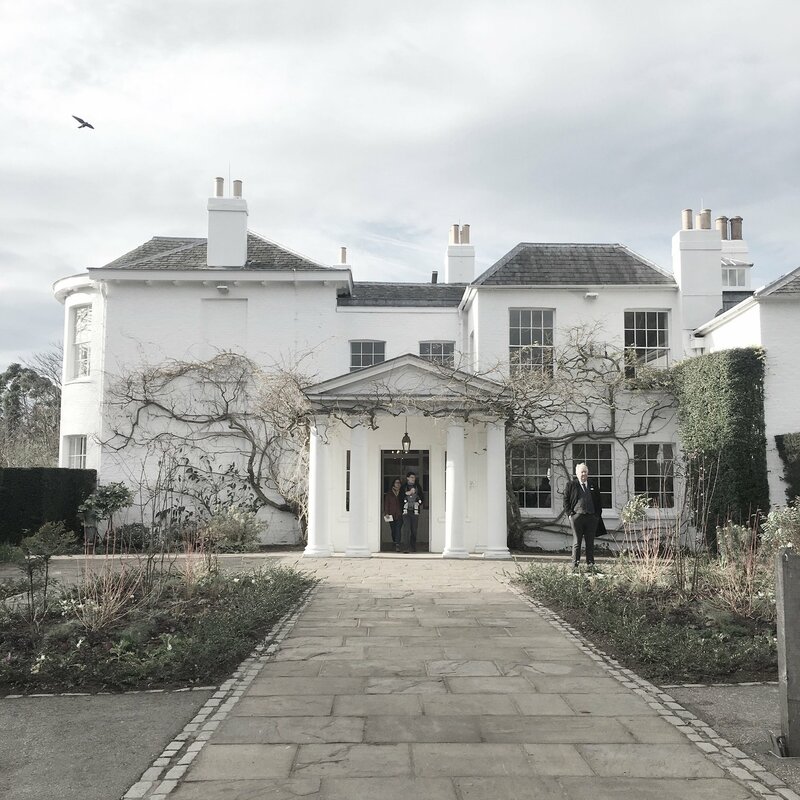 Positioned between Kensington High Street and Notting Hill Gate, Holland Park is easily accessible, but often so much quieter than neighbouring Kensington Gardens and Hyde Park. A meandering walk through the secluded wooded areas, and you are quickly transported away from the busy London streets. The tranquil Japanese inspired Kyoto Garden is a lovely place to sit with a book, and the pretty orangery is perfect for coffee and cake and people watching. Nearby, Leighton House Museum, is truly one of London’s hidden gems. Tucked away in a residential street, it is the former home and studios of the painter Lord Fredrick Leighton and always feels wonderfully undiscovered. The entrance hall is a vision of turquoise and blue mosaic from floor to ceiling, and the building often houses fascinating exhibitions. It’s a beautiful place in which to wander and soak up some culture before heading back to Notting Hill or Kensington High street where lunch and supper options are plentiful. 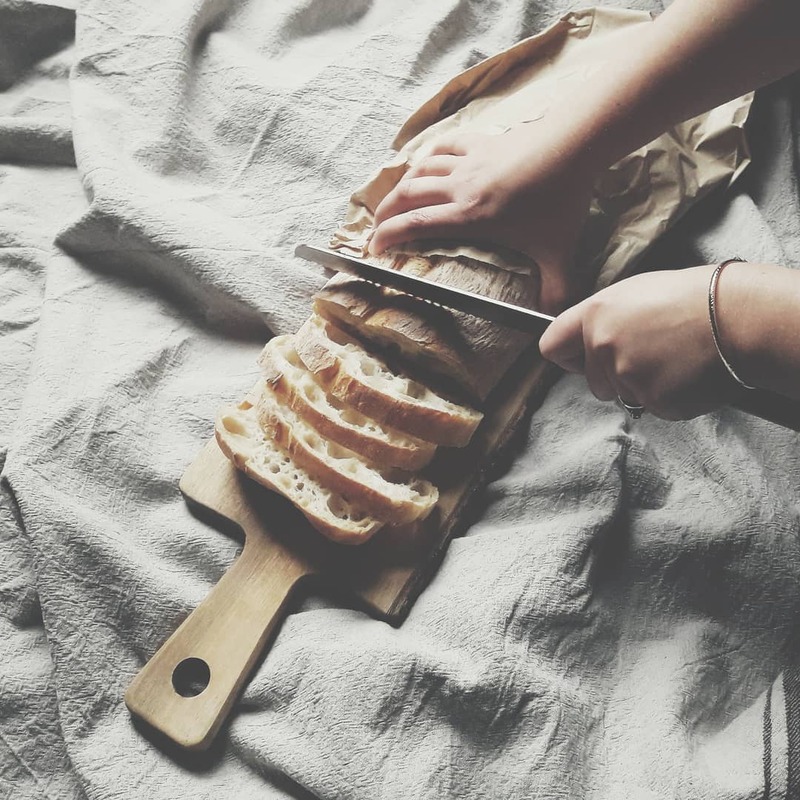 Ruth lives in South East London and posts about slow, simple, quiet and sustainable living both on her blog and Instagram feed. 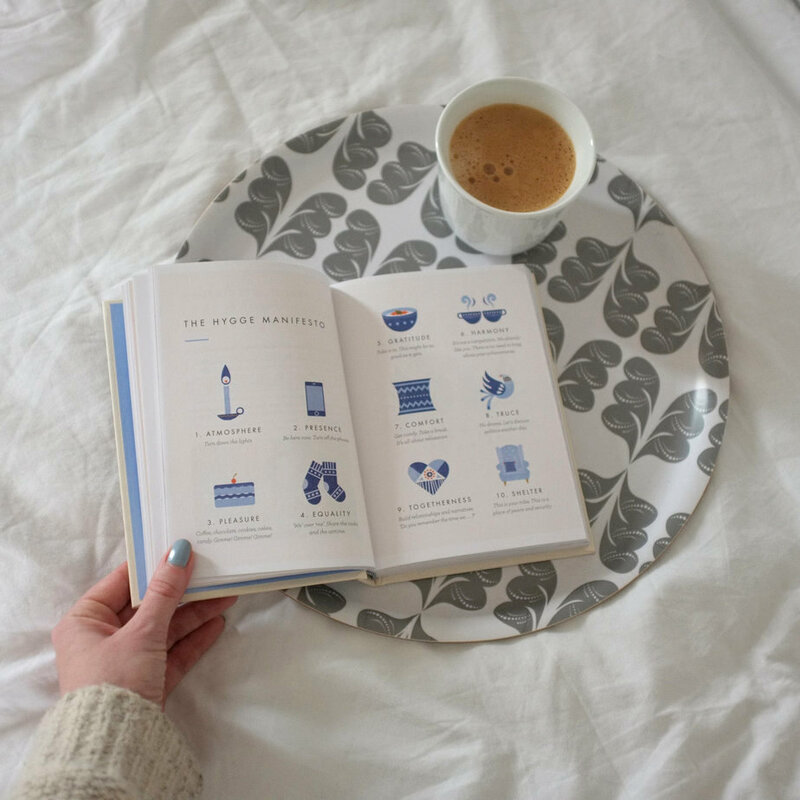 She shares muted, calming flatlays and interiors and is currently undertaking a 365 day challenge to slow down, simplify and focus on the smaller things in life. Slow weekends in London are amazing, especially here in the South East. We love to go up to Blackheath, sometimes we go to the farmers’ market to pick up fresh bread and cheese to eat on the Heath, or we pop into a few charity shops before having a cuppa and a treat in Gail’s bakery. Then, we head across the Heath into Greenwich Park for a wander. We always stop to take in the stunning views of Greenwich and beyond. The boys love to have a kick around with a football while I sit on the bench to read my book. When we arrive at the other side of the park, we all enjoy a little browse in the bookshop then a wander around Greenwich market. On our way home we may be persuaded to pop in the Maritime museum or to buy an ice-cream! I am so grateful for days like this and for living in this wonderful pocket of South East London. Thank you to all of our contributors for their photos and thoughts. From Victoria Park Market to Greenwich, there’s so much inspiration here for a Sunday well-spent in the city. This article is part of A Year of Living Slower – 12 monthly experiments and mini challenges in living better, not faster. 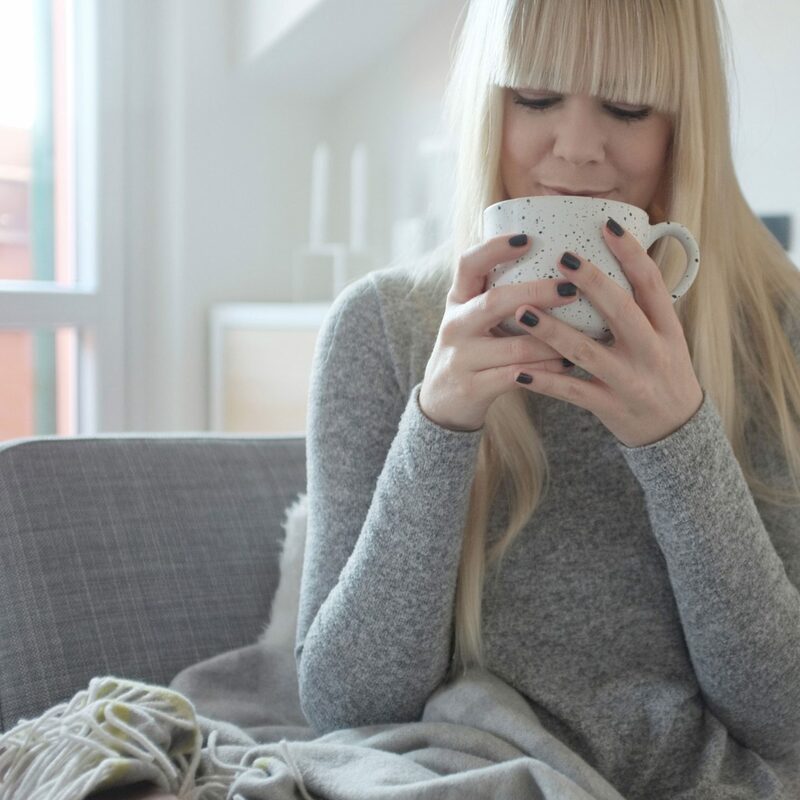 February’s theme is Slow Sundays and aims to put the self-care back into the traditional day of rest. Founded by Carlo Petrini in the 1980s, the slow food movement began as a reaction to the perceived threat to Italian culinary traditions after the planned opening of a McDonald’s in the heart of Rome. Over thirty years later, the slow living movement encompasses more than food, but the ethos remains the same; living faster is not always the optimum. Progress is often measured by efficiency and convenience. And as consumers, we’ve become accustomed to both the speed and choice which comes with such progress. Many of life’s answers (fact-checked, or not) are only a Google away. Global news floods our smartphones as it happens. Our supermarkets stock fresh produce from around the world, regardless of the season. We can order measured-out meal kits or simply throw a ready-meal in the microwave. Rather than seeing these developments purely as ways to simplify our lives, the slow living movement suggests they can also complicate them. Instead of making conscious decisions, we find ourselves on auto-pilot and consuming without really reflecting on the impact of our choices. Petrini’s statement was a reaction to our culture of convenience. Today, it is more pertinent than ever, reminding us how we passively consume, whether that’s social media on our smartphones or single-use packaging. Approximately 90.5% of plastic waste produced has never been recycled. This estimate revealed in the journal Science Advances was dubbed The Royal Statistical Society’s statistic of the year for 2018. Their choice reflects the growing conversation around waste from single-use plastics and the importance of tackling our throwaway culture. In 2015, plastic packaging waste amounted to 47% of all plastic waste produced globally. It’s estimated that we consume between one and five trillion plastic bags a year – five trillion bags equates to almost 10 million bags per minute and if laid flat, this quantity would cover an area twice the size of France. Styrofoam containers (which also reportedly contain carcinogenic materials) can take over 1,000 years to decompose. By 2050, it’s estimated that 99% of marine birds will have ingested plastic. It costs approximately €630 million per year to clean up Europe’s beaches and shores. While governments work on improving waste management systems and consider bans and levies on certain plastic items, the UN highlights the importance of policy makers to raise public awareness and change consumer behaviour. And in this, we can have an active role. 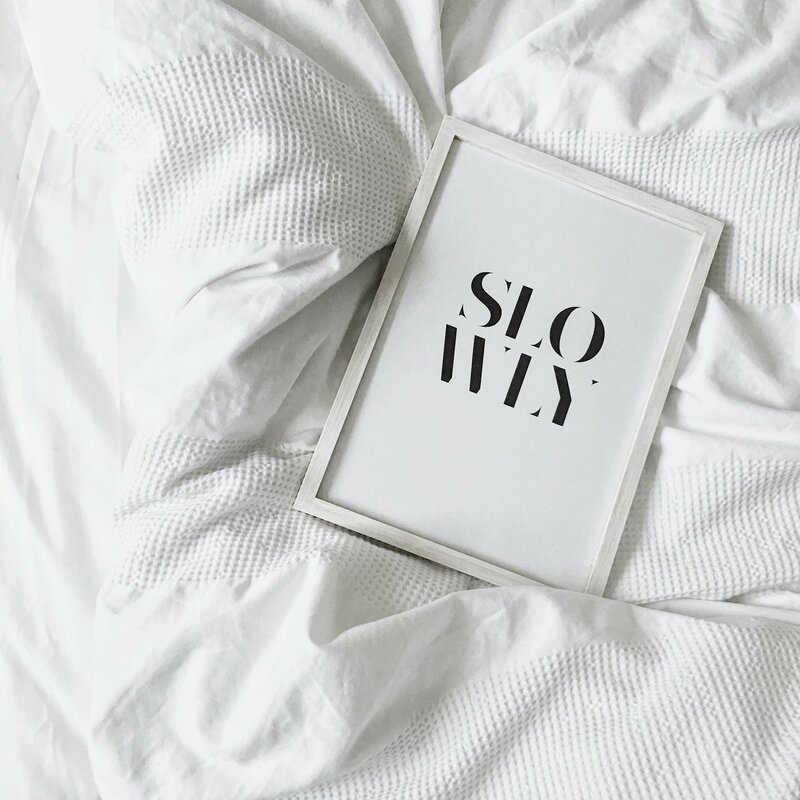 Slow living is about removing yourself from the quickened pace of daily life to make conscious decisions. In the environmental sphere, this means replacing the idea that “you don’t have time”, with “living with intent” by planning ahead to be able to consume in a more sustainable way. For example, you could make more time to cook from scratch using local, in-season produce that doesn’t come wrapped in packaging. This could have a knock-on effect; support your local community, eat fresher food and carve out time in your day for a screen-free, mindful activity. Or, you might choose to do some research into sustainable swaps for your go-to plastic items on supermarket shelves – many of these products are reusable, too, benefitting your wallet. When it comes to the impact of our impulsive throwaway culture on the environment, it’s clear that it’s time to build on the counter-current that has been stirring in recent years. It’s time to live slower and make it fashionable to reuse, research and waste less.